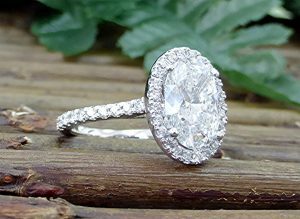 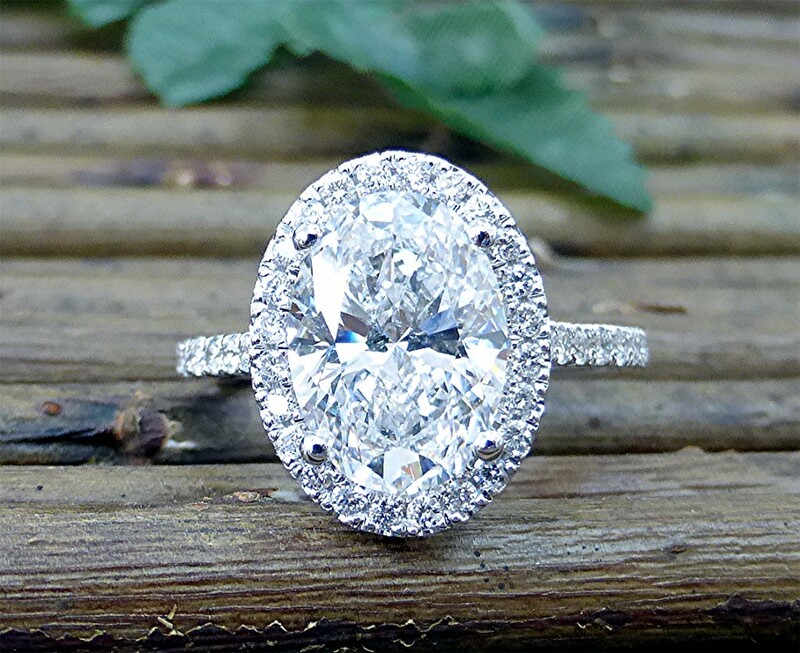 Center is 3.27ct oval diamond mounted in 18k white gold ring with 24 round breliant cut, micro U cut set, on halo and 20 more on top of the shank. Under gallery bridge is micro pave set with 18 diamonds and four legs of basket are micro U set with 16 diamonds. 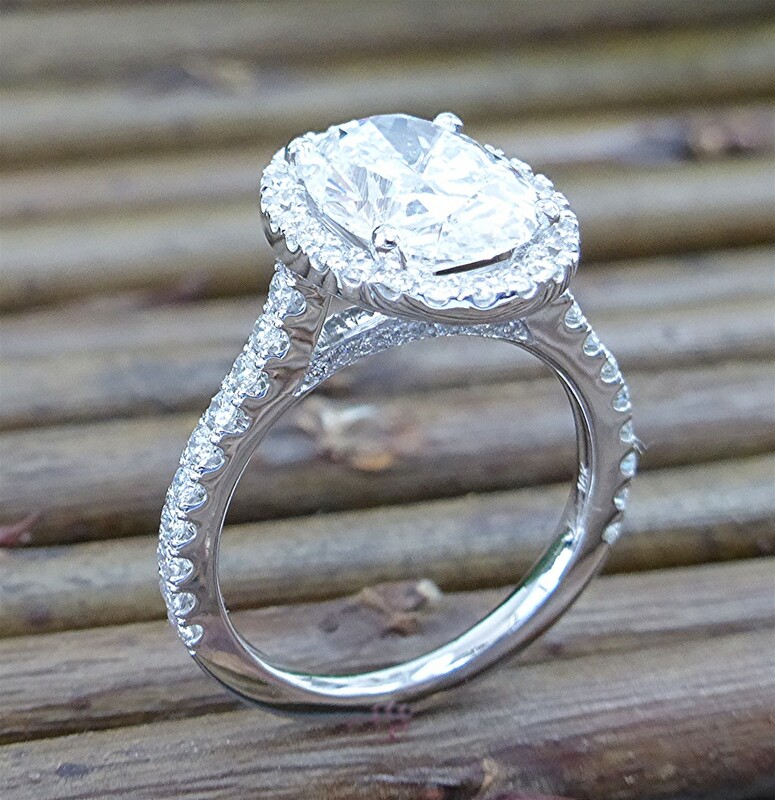 Total weight of the 78 RBC diamonds on the mounting is 0.75ct. 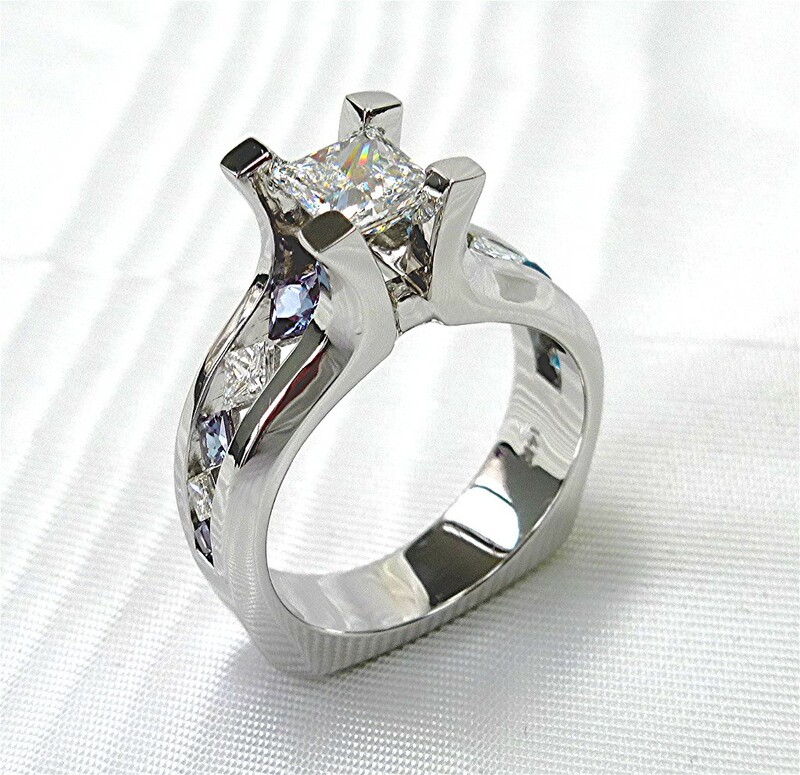 Center stone is 0.70 carat princess cut diamond set with four heavy prongs. 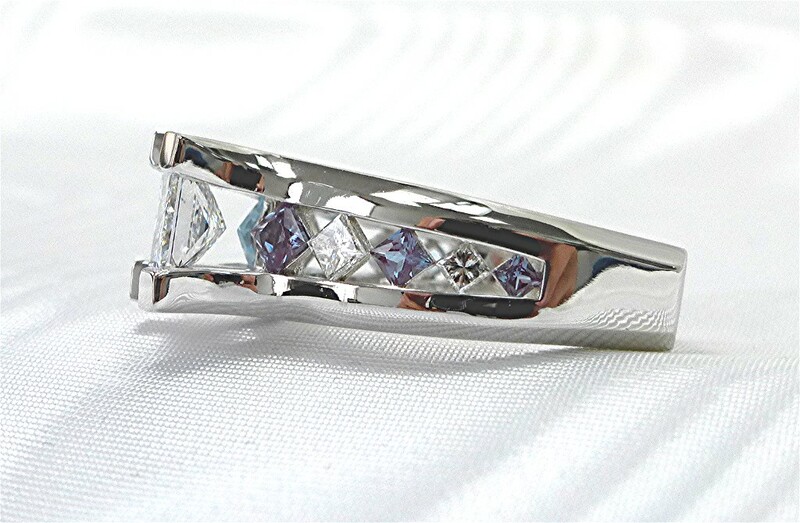 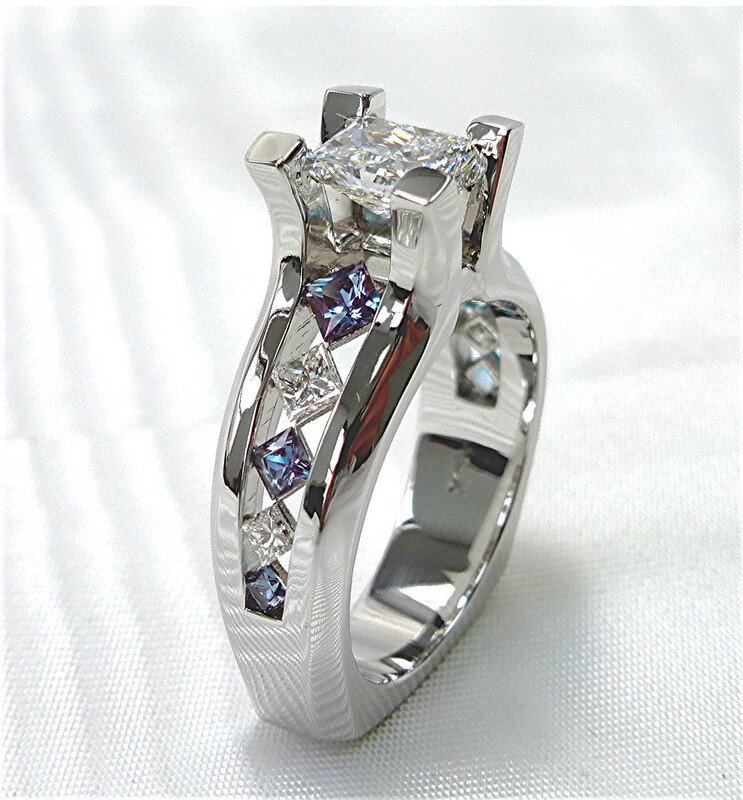 Ten more princess cut diamond, alexandrite and blue topaz stones are diagonally set on the shoulders. 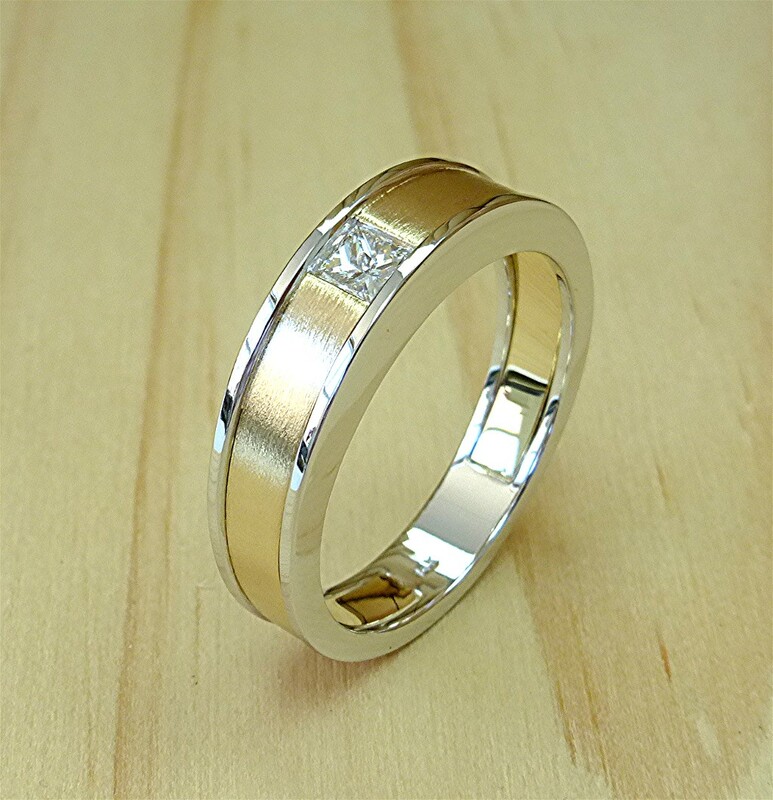 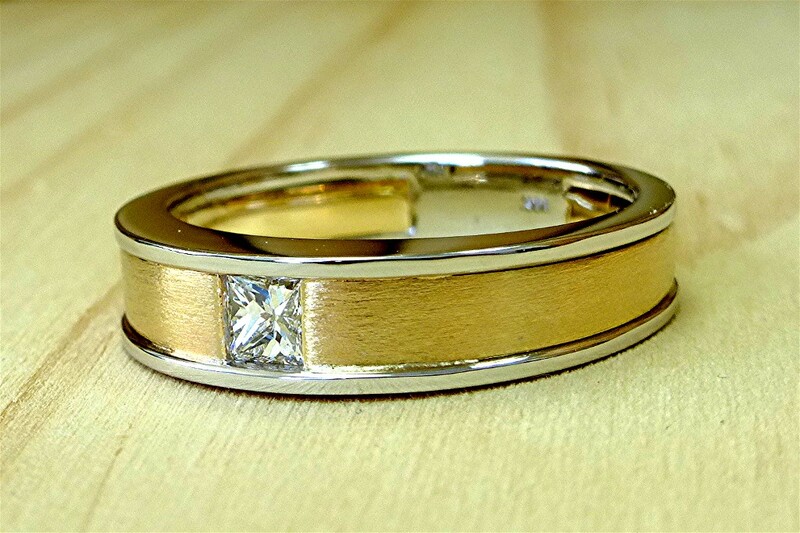 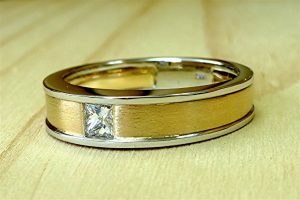 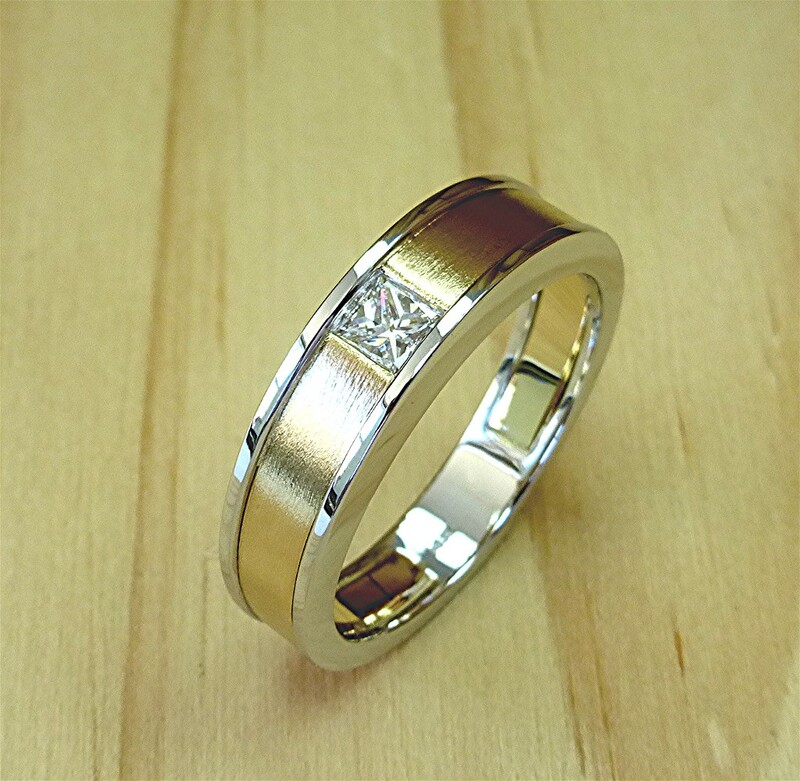 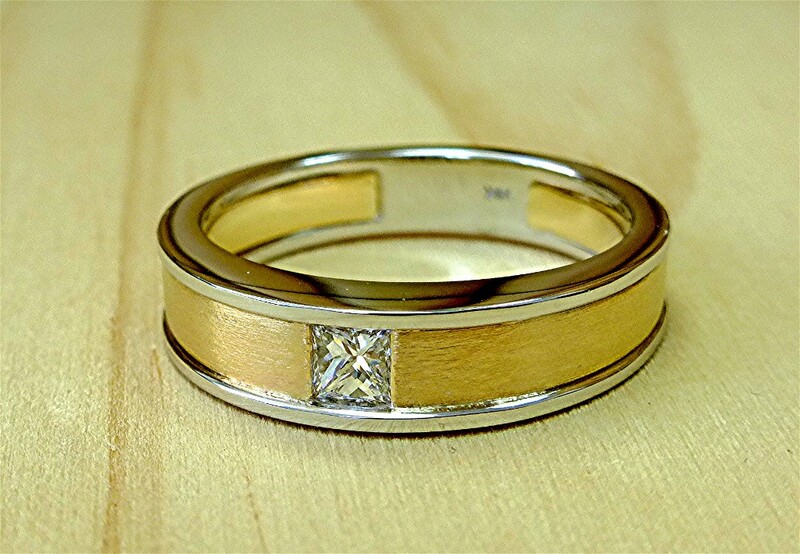 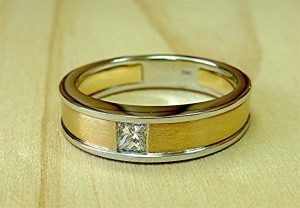 14k gold two tone mens ring with a 0.36 carat G color, VS clarity princess cut diamond in the center. made of 95% platinum,5% iridium. 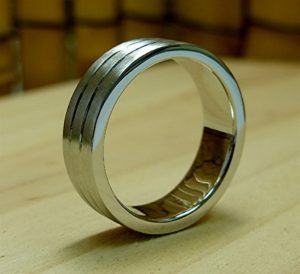 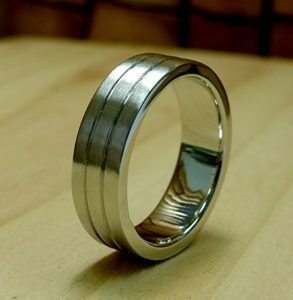 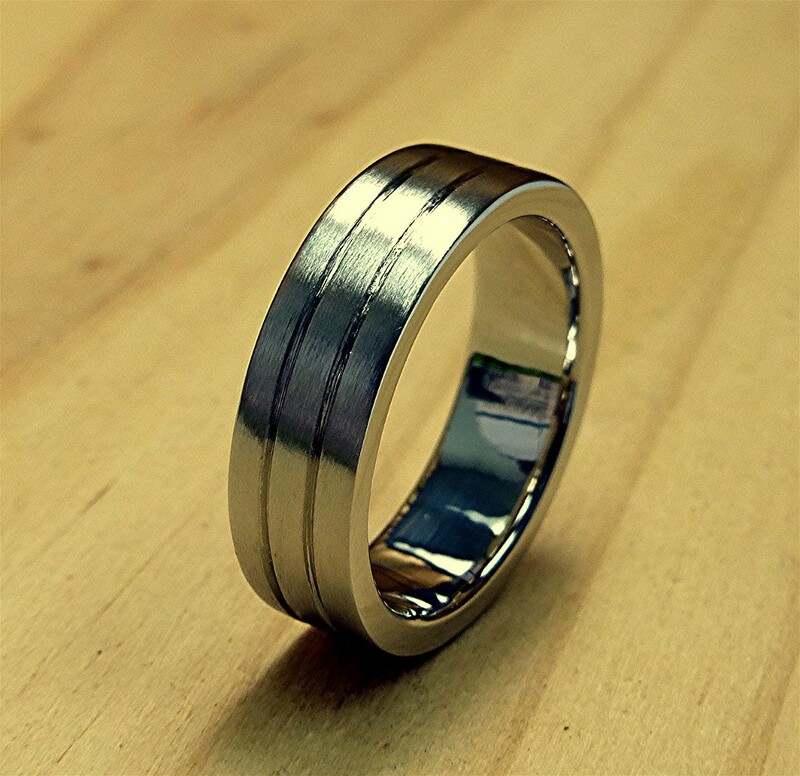 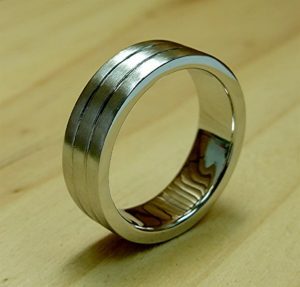 Six millimeters wide with two parallel grove designs and brushed top finish, finger size 8.25. 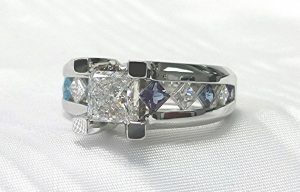 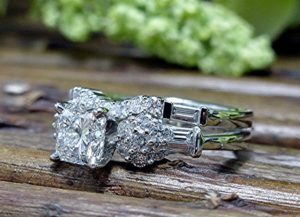 Engagement ring has a nice 1.01 carat radiant cut, F, VS2 diamond in the center mounted in 14k white gold ring with 14 rounds and 4 baguettes. 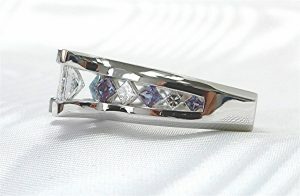 Total gem weight is 1.55carat. 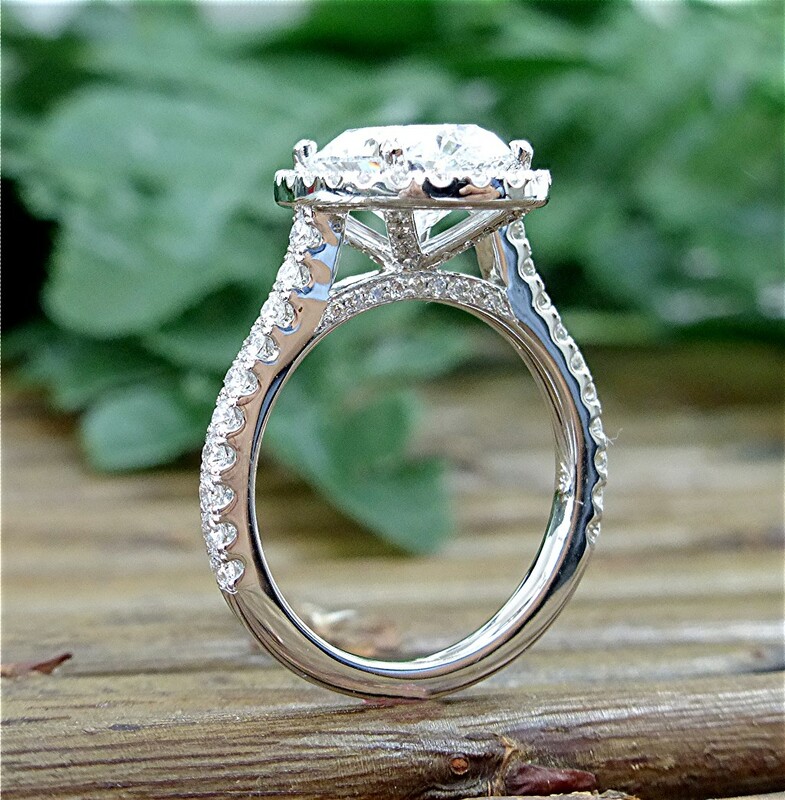 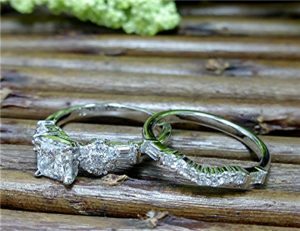 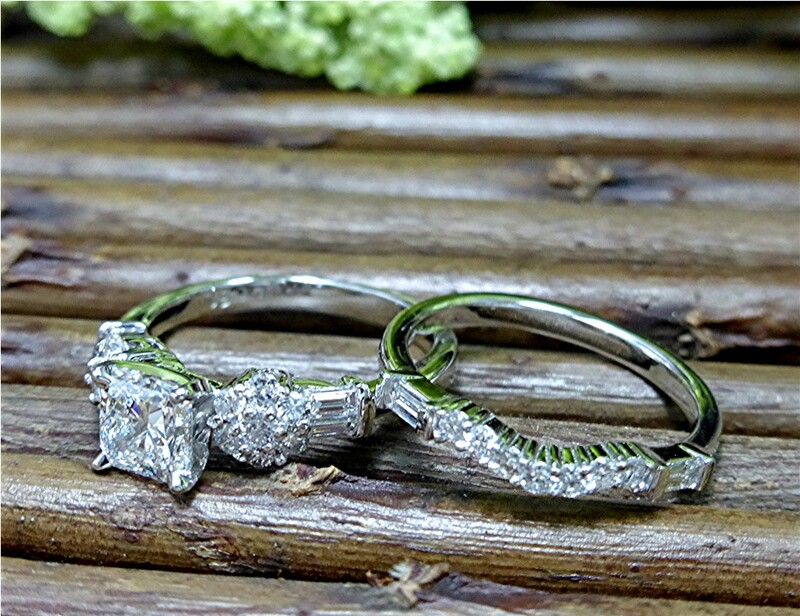 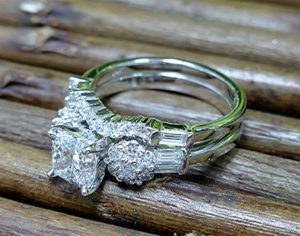 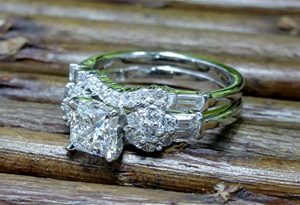 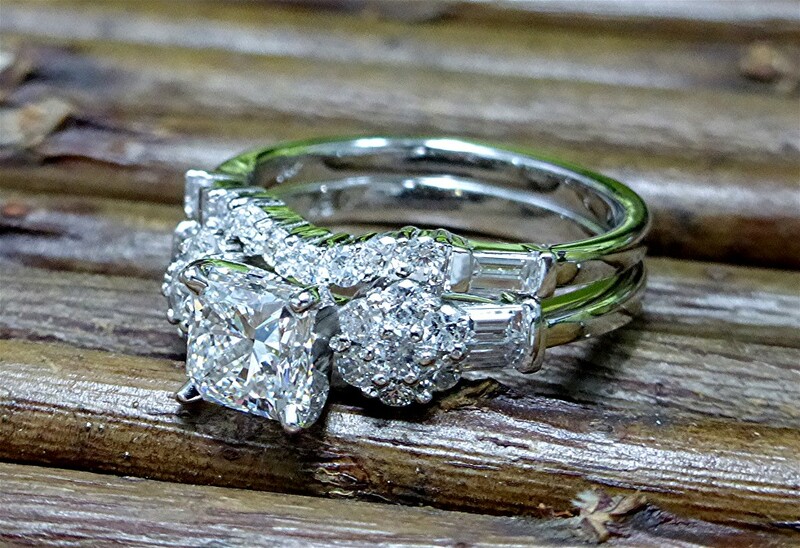 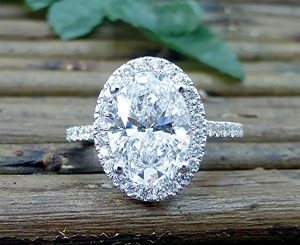 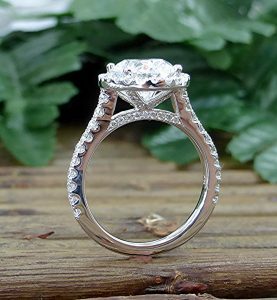 Matching band has seven prong set, round brilliant cut and two channel set straight diamonds, totaling o.28ct. “Color, VS2 clarity mounted in 14k white gold. 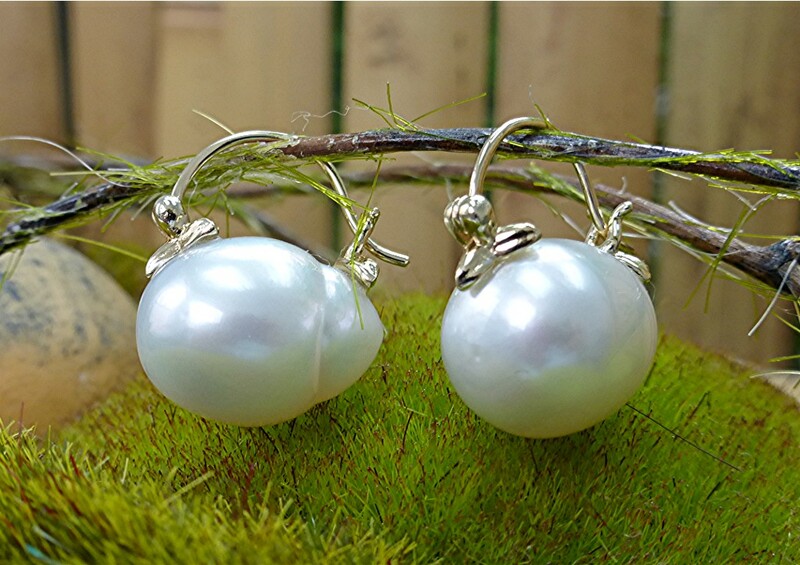 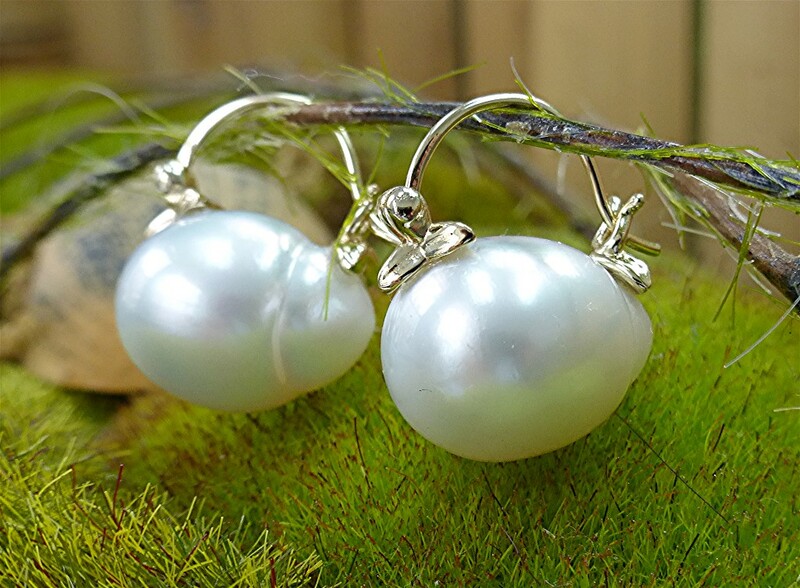 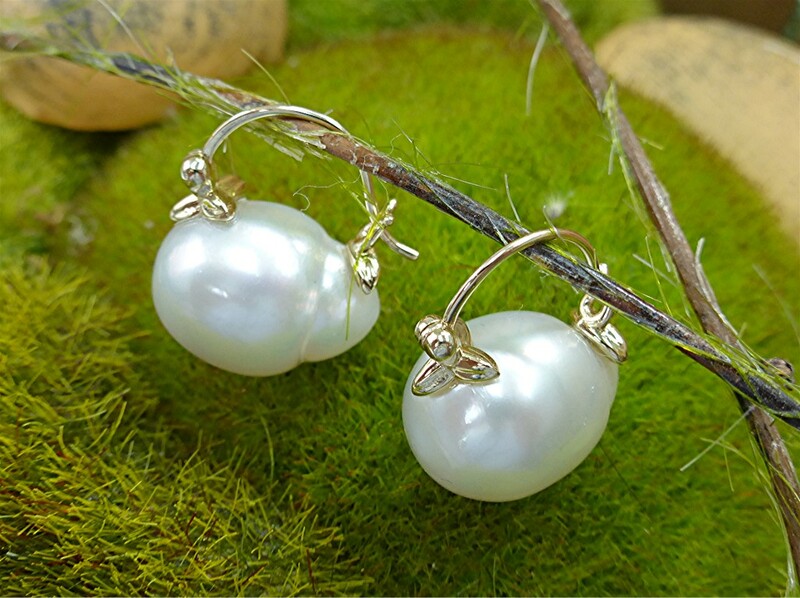 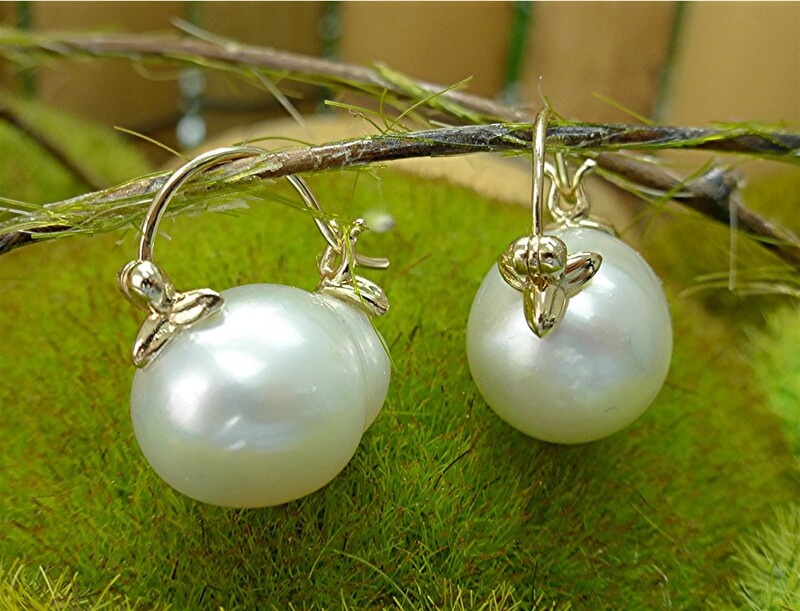 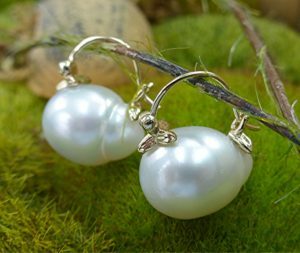 13/14 millimeters natural south sea pearl earring with custom 14k gold brackets and ear wires.